A REAL LOOK AT WHAT BLOGGING IS? AND WHY BLOG? Blogs can seem old-fashioned in today’s fast-paced online world. These days, we have social media and other online distractions that seemingly take away from the appeal blogs used to have. But, that’s the wrong kind of mindset to have… forget about blogs, and you’ll be leaving a lot of money on the table. Blogs can be even more successful than ever these days; you just have to approach them in the right way. Blogging can really be anything you want it to be. This guide is going to teach you how to successfully blog and monetize your blog in a way that works in today’s web climate. 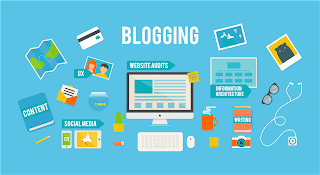 Your blog is going to become an important part of your niche, receive a lot of traffic, and help you make a lot of sales. The bottom line is that blogging will always work… But you can’t approach blogging the same way you would have even five years ago. You have to pay attention to the way online users want their content. You’re going to become an authority figure to them and really dominate your niche without trying very hard to do it. That’s the thing about the method presented to you today. This isn’t going to be a dry and boring method that rehashes anything you’ve read about blogging before. This method is fun, profitable, and easy… as long as you follow the steps. This is not a promise you can push a button and see huge riches with your blog right away. This is a process that will pay off over time, but you have to stick with it. If you do, you can find huge success with your blog. It can eventually turn into life changing, mostly passive income. Setting Goals As a Blogger It’s sad and kind of scary that many people expect to succeed with their blog when they don’t have a real plan. You wouldn’t take a road trip without planning your route. You shouldn’t start a blog without planning where it’s going to go. You need to set goals as a blogger. For instance, How much money would you like to earn every month from your blog? How about within a year? How much would you like to be earning from your blog within six months? How much traffic would you like to be receiving by next month? How much traffic would you like to get each month? How about within a year? These are all questions you should be asking yourself, and hopefully, you’re starting to get the point by now. You need to set short-term goals as well as long-term goals. You should set income goals as well as traffic goals. You need to know how much work you’re going to put into this. Part of this process will come from evaluating the competition. The best and most popular blogs in your niche can set the bar for you. Of course, you want to be bigger and better than they are, eventually, but we all need to start somewhere. Take a look at what those bloggers do well and what they don’t do as well. The most important part of determining your goals is figuring out how you can really serve the people in your niche. If your focus is on the people and how you can help them, you will be more successful as a result. Think about their problems and what you can write about. If you don’t have a niche yet, consider what you’re already passionate about. It has to go beyond passion, of course, because you also have to choose a profitable niche. If you can combine the two things, it’s all the better. You may want to enter a niche just because you think it will be profitable, but you’ll quickly run out of steam if it’s not a topic you enjoy. If you’re passionate, it will shine through in your writing and on your blog. Not to mention you’ll attract a larger and more responsive audience. You can also get a feel for your competition and the people in your niche by looking up related websites on Alexa.com. How much traffic do these blogs tend to receive? Getting Ready You can also look at Quantcast.com. Quantcast helps you figure out the demographics of your niche. The more market and niche research you do before you get started, the better you can plan and the more profitable you’ll be. It’s going to be important for you to figure out what you have to offer to the people of your niche. This will help you set traffic and income goals. It will also help you feel good about what you’re doing so you can truly be effective and successful as a blogger. If you haven’t done so already, go ahead and take out a pen and piece of paper and write down your goals for your blog. Be as specific as possible. If you write in general terms, it won’t seem real to you. If you are incredibly specific (using real numbers and timelines) your subconscious can work to help you succeed and the opportunities you’re creating for yourself will seem more realistic. Choosing Your Niche Let’s talk a little bit more about choosing your niche. If you’ve already chosen your niche, you can just skim over this section. However, you might want to read it so you can ensure your choice of niche is the best one for you. It used to be that you could write a skimpy blog on an extremely narrow topic and do very well with it. However, with the last few Google updates, it’s become very important that your site becomes one of authority. The more high-quality content you have, eventually, the better. That means you need to choose a niche that is narrow, but not too narrow. You never want to run out of topics. There should be new products released within your niche all the time. There should be news stories about your topic, all the time. There should be lots of blogs and activity in your niche, all the time. It has to be something people really care about—something that has a lot of staying power. It should not be something too general, like weight loss. But you can choose a very specific niche within the larger weight loss market. In fact, you can do even better if you target very profitable and popular categories like Internet marketing, fitness, and weight loss. You just have to find a unique angle so you can succeed even in a crowded field. It can’t be stressed enough how important it is to enter into a niche that has buyers. It’s one thing to have a niche that’s popular. It’s another thing altogether to have a niche where people are actively buying products. You are in this to make money as much as you’d also like to help people. Choose a niche where people buy products and buy them often. You want a niche where people don’t just buy one product; they buy many. It’s also important to realize that you are going to be focusing on list building with your blog. With everything you do related to your blog, your real goal is going to be to build your email list. Whether you’re promoting yourself on social media, article marketing, guest posting, or whatever it is, you’re going to be building a list. Your list is the main spot you will use to market to your readers. You should also make sure the niche you choose has an active social media presence. There should be established Facebook pages related to your topic, people Tweeting about your topic, and so on. If there is already a built-in audience that is active and is frequently seeking new information, you will have an easier time of it as a niche blogger. Now that you’ve chosen your niche, it’s time to get started with your blog. The first step is to choose a brandable domain name. Keyword domains are no longer important and can even be harmful to your success, as far as Google is concerned. Choose a domain name that is related to your niche and will really stand out to the people of that niche. Buy the domain name and then grab that same name on all social media sites – Facebook, Twitter, Pinterest, Instagram, and whatever else makes the most sense for you. niche. Your blog should be clean and uncluttered. It should be easy to navigate and really complement the brand you are building for yourself. Ideally, the styling you use for your blog will be consistent across your social media profiles as well. You aren’t just a blogger; you are really creating an entire brand for yourself. Start Writing When you’re first getting started, it’s important to add a new post each day, at least for the first couple of weeks or so. You don’t have to post every single day for the rest of your life, but you do need to give your blog a running start. Try to write scheduled blog posts to be released at least three times per week for the next six months. Do this up front and use the scheduling feature within your blog (no matter whether it’s a WordPress blog or a Blogger blog, or something else). Why do you need to write so much content upfront? The easy answer is because so many people give up on their blog way too soon. There are more abandoned blogs on the web than we can count. Most bloggers start off with really great plans of how they are going to dominate their niche. But, because blogging can be more like the tortoise than the hare, they quickly give up. Sure, it seems great to write a few blog posts a week right now, but when you don't see any success within the first month or so, it’s easy to give up altogether and move on to the next bright shiny object. But, when you frontload your posts and schedule them to be released over the next six months, you won’t give yourself a chance to lose steam. You’ll essentially be bottling the enthusiasm you have right now for this new venture and using it to secure your success. Think this is a lot of work? Of course, it is – but it will really pay off. By the way, you probably don’t want to monetize right away. Your goal is to establish a name for yourself in your niche. You should focus on really great high-quality content, which is what we’ll talk about next. It’s All about the Content Blogging is mostly about the content. You want to write really great blog posts that stand out in the crowd. Take a look at the popular blogs in your niche. Take notes on their style and the kinds of things they blog about. You should never copy anyone else’s style, but it can help to know what else is out there. People are going to read your blog because your style resonates with them. There are different types of blog posts you might write. Sometimes, you’ll write evergreen information that informs people. Other times, you’ll write content based on breaking news within your niche. Still other times, you’ll write about your personal experiences and knowledge. Perhaps you’ll even write opinion pieces on controversial topics within your niche. Standing Out From The Crowd What’s going to keep people coming back is the uniqueness of your content and your voice. You shouldn’t write the same thing, in the same way, over and over again. You shouldn’t write dry, boring content that reads like everyone else’s. Put your personality into everything you write. Don’t be afraid to share your opinion – there will be people who agree with you and others who don’t agree with you. Sometimes, it’s that splash of controversy and opinion that can help you get traffic and recognition. Especially when you’re first starting out, consider how you can capture the attention of your readers. Your goal is to help and entertain your readers. It can be hard to get attention when you’re new. But, the more interaction you have on your blog, the more likely you are to gain notice by Google, social media, and on other blogs. Generating Content in New Ways Some of your content can be specifically designed to generate additional reader content. You can accept guest blog posts and make it clear that you welcome them. Other bloggers in your niche might love to write for you and this is a good way to network as well. Not to mention, this gives you some hands-off content. You should also readily encourage blog commenting. Get people talking in the comments section and you will have content generated for you hands-off. It’s hard to blog at first because it’s easy to feel like your blog is a ghost town. Focus on getting people commenting and interacting on your blog and it will be a lot more fun for you. By the way, you should really be having fun with your content. Take a look at what other bloggers are blogging about. Look at the table of contents of books that have been published on your topic. What are the hot topics there? Read forum posts on your topic. What are people talking about? What is stirring up controversy within these forums and on social media sites? Write about those things. Set alerts for news topics and blog posts within your niche so you have constant fodder for content. If you’re ever stuck for something to write about, consider curating content. You can link out to other people’s blog posts, create “best of” lists that feature other blogs’ content, and more. Other bloggers and websites appreciate the link, and this can really help you get some recognition while creating easy content for your blog. With as much as you focus on writing great content, you also have to focus on driving traffic to your blog. Many bloggers have the content part down part but expect that the traffic will just flow in without any work. It just doesn’t work that way. There’s a lot of competition out there, and you have to do what you can stand out. Networking One of the best ways you can drive traffic to your blog is to network across your niche. You should be commenting on other blogs within your niche – you get to link to your own blog in the process of doing so. This can generate some great clicks and some interest in what you have to say. You should also be networking with other people in your niche. The more you network, the easier it will be for you to get traffic and exposure. One of the biggest secrets to succeeding as a blogger is to get an “in” with bloggers and marketers who are already successful in that niche. It’s not just about the other marketers; it’s all about the people of that niche. You need to become seen as an authority figure to them. Their first exposure to you may not be on your blog. It might be on social media, through a guest post, or through a link on another blog. That’s a big part of the reason why networking is so important. Social Media You’ve already grabbed your brand’s name on the most popular social media sites. Now, you need to join groups and pages on Facebook, LinkedIn, and so on that are related to your niche. Start to interact with people. Show that you know what you’re talking about and link to your blog where appropriate. Once you’re comfortable, think of a unique angle and create a Facebook group dedicated to helping people with that unique angle. The people you’ve networked with on other groups and pages will be enticed to join your group because you’ve already proven yourself to be worthy. Get Other People Linking To You Then, there are the more traditional ways to get traffic. As always, you should make sure people are linking to your blog posts – as organically as possible. You want to write posts that are so incredible that people naturally start to link to you. All of these suggestions go hand-in-hand, because the more you network, the more links you’ll get. You don’t want to buy links or spend money on traffic software that promises to do this for you – that stuff doesn’t work anymore. Another thing you can do is give your content the best chance of going viral. You can make certain blog posts and articles open for anyone to copy, with your resource box intact, to put on their own blog or website. You can also write content for other people’s newsletters, linking to your own blog. Wherever you can, get yourself some exposure in front of the right people. Email Marketing Make sure you have an opt-in box as well as specific squeeze pages on your blog. Remember that your main goal in getting traffic is to get that traffic on your list. Once they’re on your list, you can then link them to individual blog posts you think they’ll enjoy. You don’t want to get your traffic just one time; you want it to come to you over and over again. Your list is also where you’ll build relationships with the people in your niche and make your sales. Videos & Podcasts You might also consider methods of driving traffic like video marketing and podcasting. People in your niche no doubt absorb content in more than one way. Some of them may prefer listening to audio content on their way to work. Others might prefer watching tutorials and seeing the faces of their favorite bloggers. Video marketing and podcasting caters to people that have different learning styles. You’ll also get additional search engine traffic from your efforts. Google owns YouTube, so it’s easy to rank for targeted key terms by posting videos there. Use the right keywords, and your podcast content can also be found on sites like iTunes. Keyword Optimization Be creative when it comes to getting traffic. Note that you are not trying to dominate for just one thing or one keyword when it comes to your blog. You are trying to show up for just about every relevant keyword within Google. One thing people miss is that you don’t want just to show up once for your keyword. It’s far better if you dominate the entire first page for the very best keywords when people search for them in Google. You should have videos, audio, PDF content, blog content, and social media content so people can’t help but come to see you as an authority—they’ll be running into your stuff everywhere! Paid Traffic You can also pay for traffic with great results. Don’t pay for traffic that goes straight to your blog’s home page. Instead, create targeted campaigns where you pay for ads to drive people to your blog’s squeeze pages. That way, you get them on your list and get the benefits of that traffic over and over again, even though you pay for it just one time. There are many different paid advertising methods you can try. Google Adwords has always been popular because it is so effective. You’ll bid on very targeted keywords related to your niche. You’ll then drive those ads to targeted squeeze pages where people can sign up to receive something free in exchange for their email address. You can then build a relationship with these people and market to them time and time again. Facebook ads can be even more targeted. Ideally, you’ve built a great Facebook page within your niche. You can buy Facebook ads to get more people to “like” your Facebook page. You can then build a relationship with people right on Facebook in a way that goes viral. From there, you can drive people to sign up for your list with very enticing offers. There are also bound to be specific advertising opportunities that other marketers and bloggers haven’t thought of. For instance, are there popular web forums within your niche? If so, consider purchasing a banner ad for a month to test that strategy. You’ll get even better results on a forum where you’ve already started networking. You’ll have the name recognition and drive a lot of traffic to your blog. All of these traffic strategies work together to create a web of traffic where people can’t help but notice you. Once you get these people on your list, you’ll be unstoppable when it comes to successful niche blogging. This is section most bloggers are most interested in, but it really can’t come first. 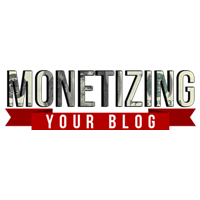 You probably shouldn’t even think about monetizing your blog until you are pretty well established. Remember that this is more of a tortoise operation than a hare operation. With that said, there is no shame in marketing. You’ve targeted a niche specifically because there are opportunities to make money with it. You are helping people, and that often means recommending products to them. You can quickly build up to a full-time income if you follow the advice given so far. Advertising There are definitely opportunities out there that can help you monetize and earn money fast, such as Google’s AdSense. It is the flip side to Adwords. Other marketers will pay Google, and their ads will show up on your website. Every time one of your blog visitors clicks on an ad, you will get paid. Once your blog is established submit an application on Adsense website, once approved you can start placing Adsense ads on your website. Monetizing Once your blog reaches a certain level of traffic, other marketers may pay to advertise on it. They can sponsor your blog for a certain amount of time. There are even ad networks that specifically focus on popular blogs where you can earn money based on your traffic or your clicks. These opportunities differ depending on the niche you are in. Affiliate Marketing You can recommend products and services inside your blog posts and place your affiliate link inside. The product recommendation should be relevant to the niche and the post topic. It should usually provide a solution to people's problem in your niche. People won't take your recommendations seriously in the beginning, but once your blog becomes an authority and you've have established a relationship with your regular readers they'll buy the products recommended by you. Therefore, it's very necessary to be patient; it takes some time to see results from your affiliate marketing efforts. But once the things start rolling they'll magnify exponentially and will create a permanent source of passive income for you. Make Money With Your List As mentioned above, the very best chance for you to earn a full-time income is to focus on building your list. This might mean not having any visible advertising on your blog. You’ll simply be funneling people to your list, which is where you’ll monetize. When you get people on your list, you’ll give them great content that helps them get to know you. They’ll start to feel comfortable with you and accept your recommendations. You can then market your own products or products of an affiliate from your list. You’ll get first-hand information on what sells and what doesn’t. When you chose your niche, you made sure there were plenty of opportunities for monetization. Whether you are going to promote physical products or information products (digital) test and track different promotions. As an affiliate, you’ll get a special link to mail out to your list. In some cases, you can even earn money instantly with this method! Product Creation Eventually, you’ll get to a point where you are ready to create your own products. This is where the real money is. Not only can you market it to your own readers, but also you can allow people to sign on as your affiliate. Other marketers will mail your offer to their lists and post about you on their blogs. This is another way to grow your brand while making a lot of money at the same time. Create books and products that really help people and you will no doubt succeed. Note that marketing to your list can be hands-off, to a certain extent. You can have it set up so as soon as someone signs up to your blog, they receive a follow-up message. From there, you can have your autoresponder send prewritten follow-up messages that contain great content as well as promotions. This can be your 24/7 marketing machine. You can also send out broadcast emails with new promotions that go out to everyone on your list at the same time. Combine these marketing methods and you can quickly earn a great income as a blogger. Moving to the next level You’ll start to develop your own feelings for what works and what doesn’t like a blogger in your niche. Make sure you are trying different things, ditching the strategies that don’t work for you and embracing the strategies that do work for you. As a blogger, you have to keep up with the trends and what’s going on in your niche. Make sure you are posting frequently and becoming a thought leader within your niche. You want people to visit your blog often as the first place they go when they want to learn something new or see the latest news. It can really help you to constantly examine the competition. Really, you shouldn’t think of them as competition. You can work together with joint ventures and partnerships to leverage each other’s traffic and success. Consider what the competition is doing successfully that you could tweak to also do successfully. If a blogger is more successful than you, what you need to do to match and exceed that success? Remember – you should always be striving to improve. You also have to remember to encourage interaction on your blog. You don’t want just to be blogging all the time and feeling like you’re talking to yourself. You want people to really feel part of what you’re doing. Consider the blogs you often participate on. What do they do that makes you want to participate? What could you do to make your readers want to participate on your blog? One way is by offering contests and creating an environment fun. For instance, you can offer giveaways where people have to write paragraph length comments about why they deserve to win. You can then choose the best entry out of them all. This is a lot of fun, it generates content for you, and it gets people into the habit of commenting on your blog. You should also find a way to help people feel like they’re a special part of your blog. There are even blog plug-ins out there that will display the top on your blog. This can be fun for people, and it can even create a little competition to see who can become featured by the automated plug-in. Also, you can ask your readers questions. Ask them what they would like to see on your blog. Ask them what their biggest struggles are. You should often give people content, and gifts and help them even when you’re not going to receive anything in return. This will really pay off in the long run. It feels good to do, and it really builds the relationship. Many bloggers focus too much on the short-term and completely ignore the long-term. All of this goes into building your brand. Your brand should become synonymous with your specific niche. This is something that will happen over time, but you have to be strategic about it. Plan for how your brand is going to grow and become recognized as the very best. At some point, you might decide that you would like to dominate your niche a little more. Maybe you’ve noticed a narrow segment of your niche that really needs some attention. Or, maybe you’ve noticed a niche that is complementary to the one you’ve already entered. 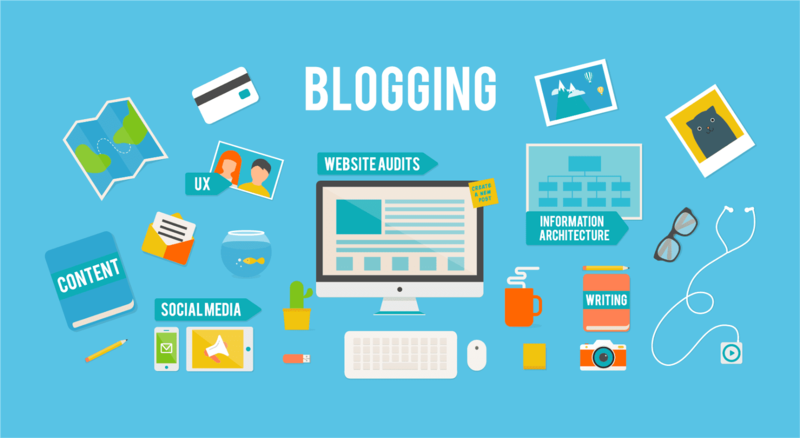 You can start related blogs to increase your exposure. These blogs can even give each other a boost. HOW NEIL PATEL MANAGED TO WRITE 4294 BLOG POSTS?